I saw this TAG on the lovely Jennie's blog 'Sailor Jennie' and I just had to do it, myself. 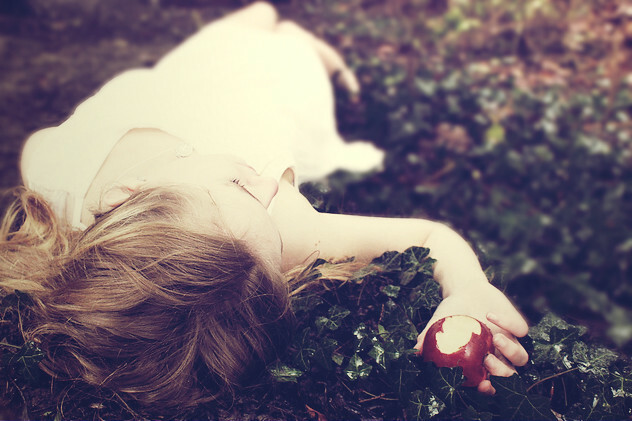 I love fairytales and haven't done a tag or more personal blog post on my blog in a while. What better way to ring in a new month? No. I don't mind the way I look, but I am by no means beautiful. That is okay though, beauty comes from within. It depends, as a student I have an irregular time table which means I can nap during the day! But at night, perhaps 6ish? Yes! Playing Ultimate Frisbee, taking photographs or going for a run! No, I don't trust anyone easily! I've had my trust broken a few too many times to ever trust someone completely. I wouldn't say so, I'm not especially gullible. loyalty and honesty are such beautiful traits and also rare, in my experience. Love often means sacrifice and compromise but if I love someone I'm very loyal to them and will sacrifice a lot for them. I have a cat called Kiki Dee! She is my family cat and lives with my parents. When I graduate I want to get as many cats as I can fit in my house. I procrastinate like mad and if I'm having a bad day it gets worse! I'll leave all my reading till tomorrow because I'm sad or just because I had a stressful seminar... Not helpful OR logical. To be happy and content and for the people I love to be the same. About 15. I still giggle at innuendos, fan girl over Fall Out Boy and over react to the tiniest of things (and don't know my alcohol limits...)- I never left high school! My Antique Cameo ring. Its gorgeous and rose gold, but also invaluable for sentimental reasons as its a family heirloom. When I really love something- such as blogging and youtubing, I'll put all my efforts into it and can become quite a perfectionist. However, if I get even a little bit disillusioned with something I can become quite lazy. Guilty! I have a few best friends, namely Steph, Rosie and Hayley who have all been very important in my life and I would do anything for them. Yep! Books, films, pictures of cute cats, sloth videos..... I'll cry at it all. I look to my own parents for my answer to this question- they are amazing. They are unfathomably loyal and will go any distance for my sister and I.
Hells yeah! I love nothing more than singing and dancing and having a good time with friends. I love fashion, but I don't care about it in that I won't go out in sweatpants (oh, I will), but I see fashion as art and my body as a canvas. In some aspects. I'm not scared of heights, roller coasters, public speaking or other things which set people on edge (I'm a bit of a thrill seeker) but the thought of facing the world without my ex boyfriend/bestfriend after we broke up TERRIFIED me. I TAG: Meg from Wonderful You, Sophia from Tattooed Tea Lady, Rose from a Rosie Tinted Life and Bee from Viva Tramp!